"Written by a leading expert on the Puritans, this brief, informative volume offers a wealth of background on this key religious movement. This book traces the shaping, triumph, and decline of the Puritan world, while also examining the role of religion in the shaping of American society and the role of the Puritan legacy in American history. Francis J. Bremer discusses the rise of Puritanism in the English Reformation, the struggle of the reformers to purge what they viewed as the corruptions of Roman Catholicism from the Elizabethan church, and the struggle with the Stuart monarchs that led to a brief Puritan triumph under Oliver Cromwell. It also examines the effort of Puritans who left England to establish a godly kingdom in America. 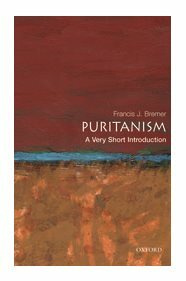 Bremer examines puritan theology, views on family and community, their beliefs about the proper relationship between religion and public life, the limits of toleration, the balance between individual rights and one's obligation to others, and the extent to which public character should be shaped by private religious belief. ABOUT THE SERIES: The Very Short Introductions series from Oxford University Press contains hundreds of titles in almost every subject area. These pocket-sized books are the perfect way to get ahead in a new subject quickly. Our expert authors combine facts, analysis, perspective, new ideas, and enthusiasm to make interesting and challenging topics highly readable."